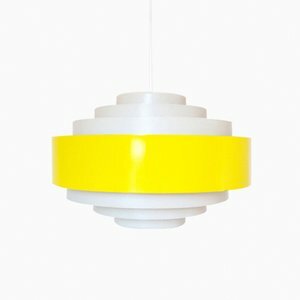 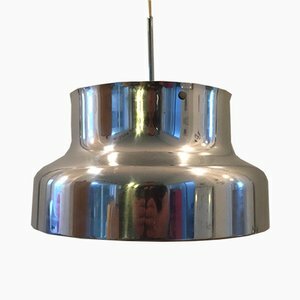 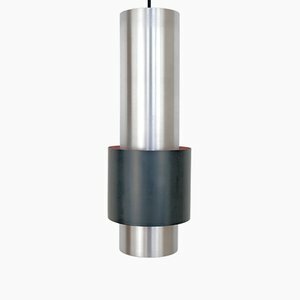 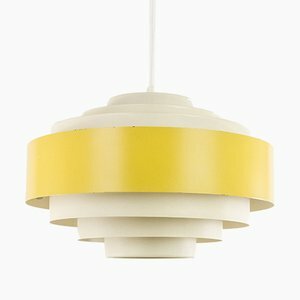 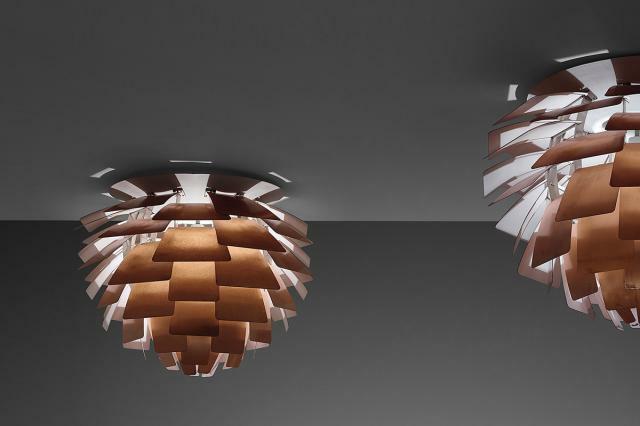 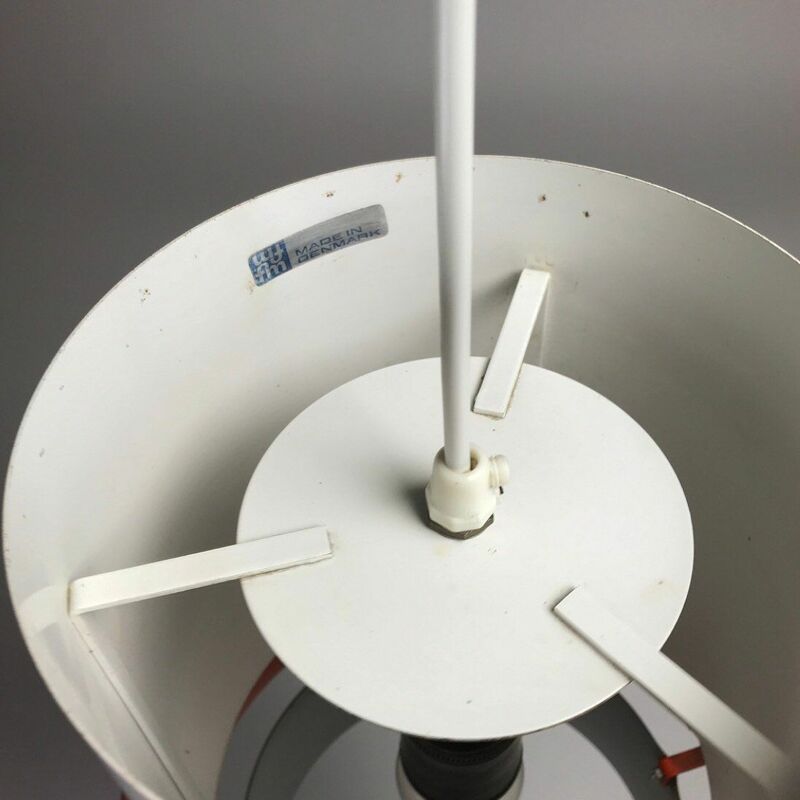 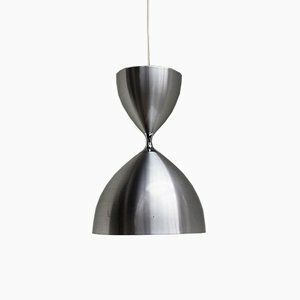 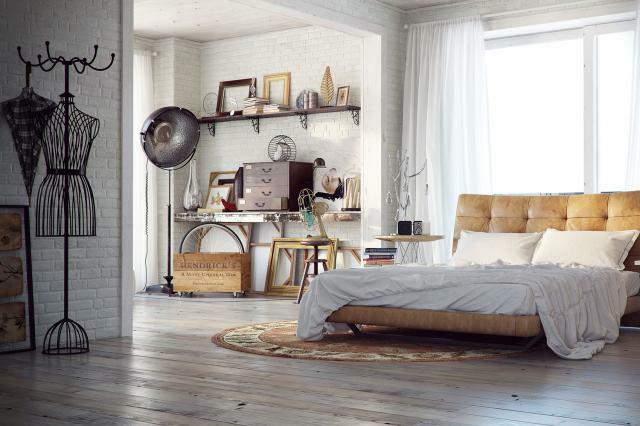 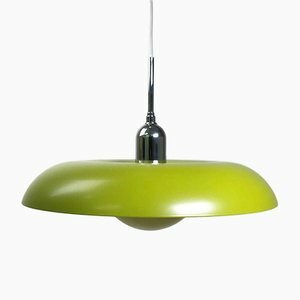 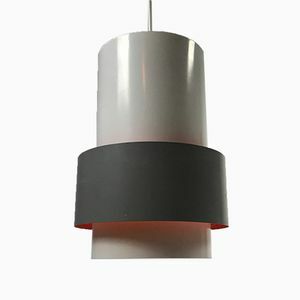 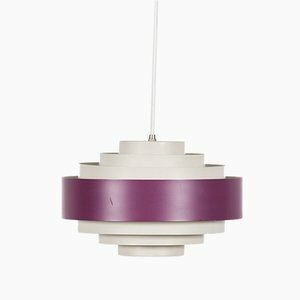 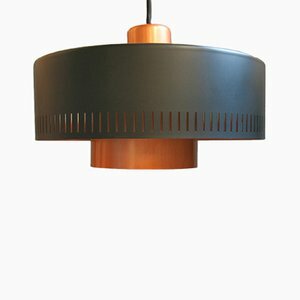 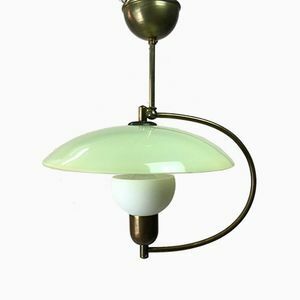 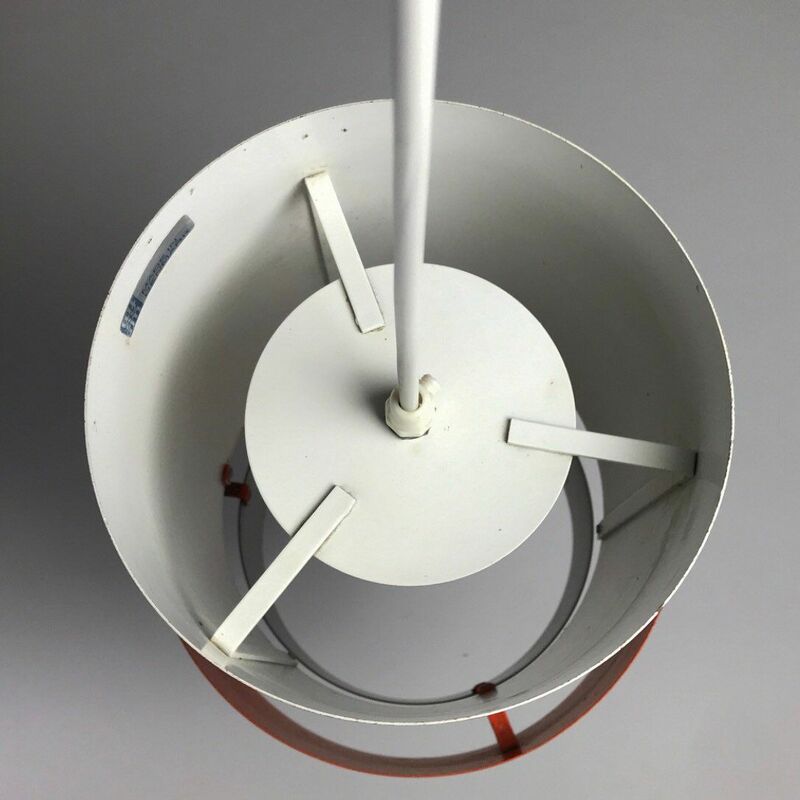 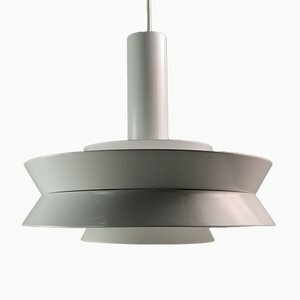 Renowned designer Jo Hammerborg made this beautiful minimalistic ceiling light back in 1967 for Fog & Mørup, Denmark. 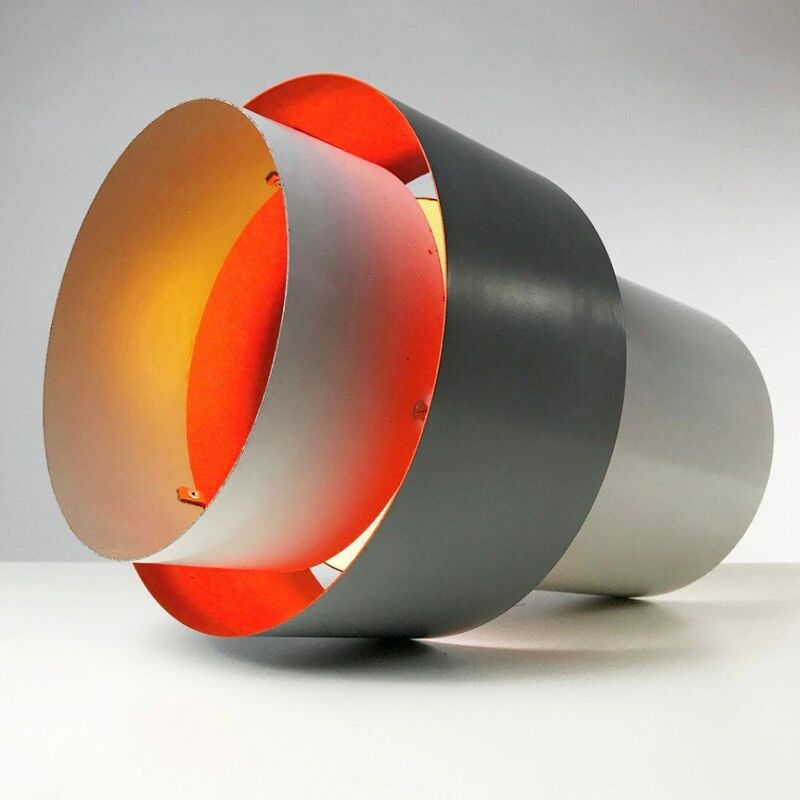 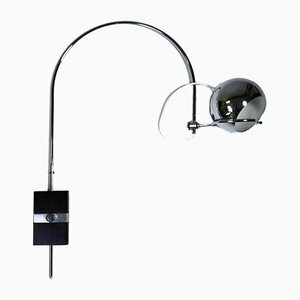 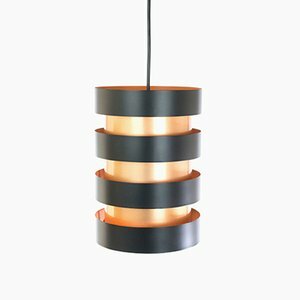 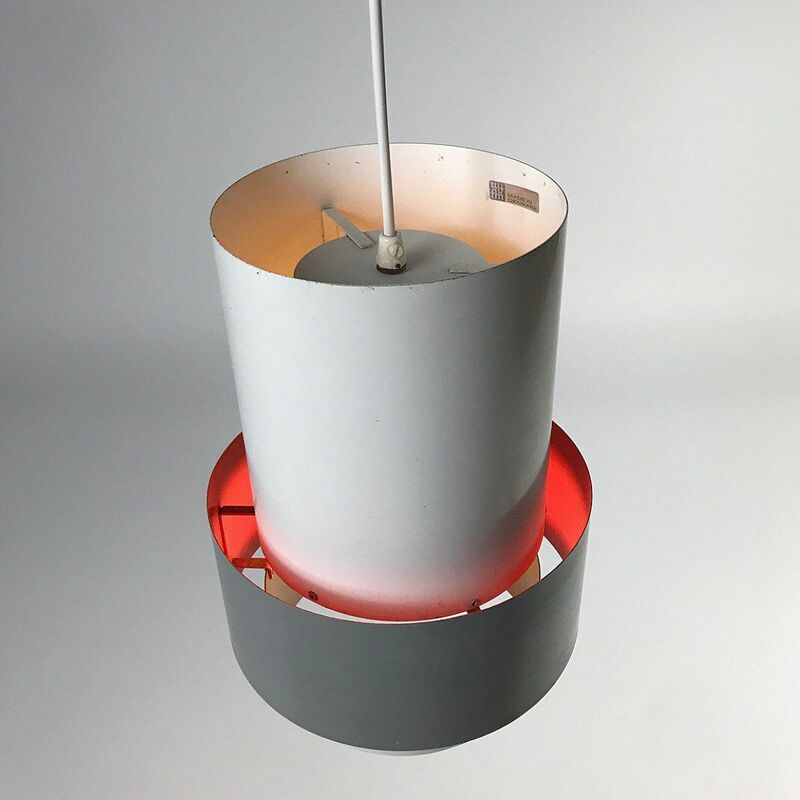 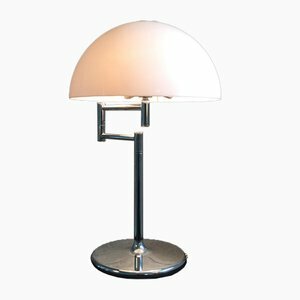 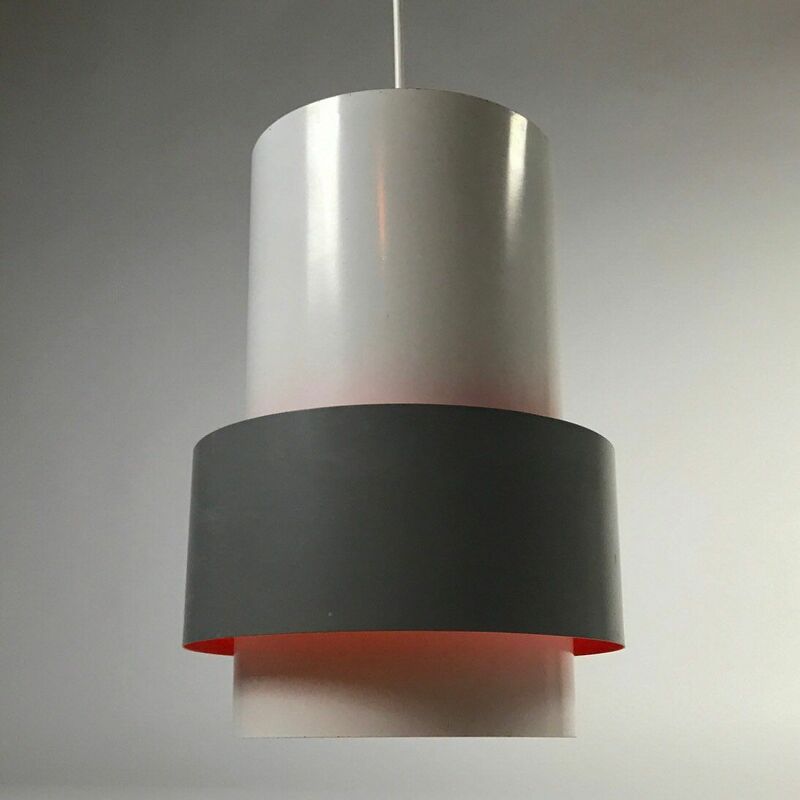 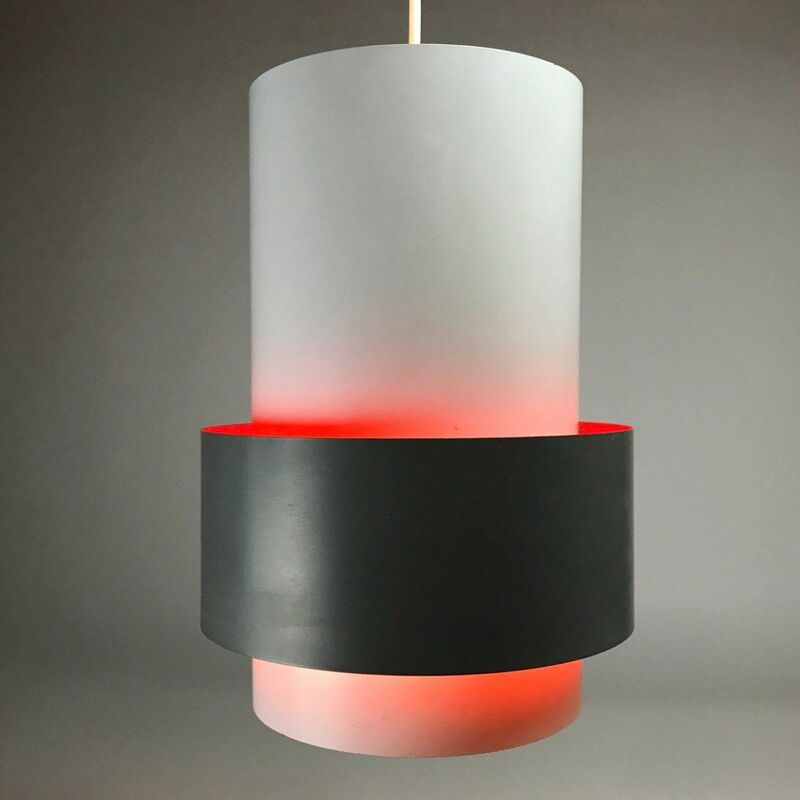 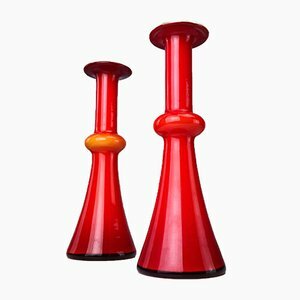 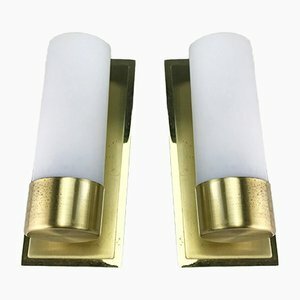 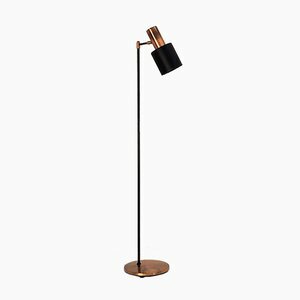 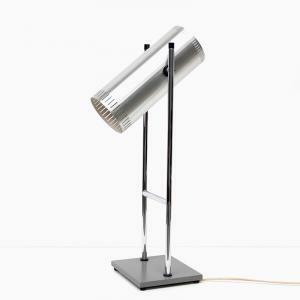 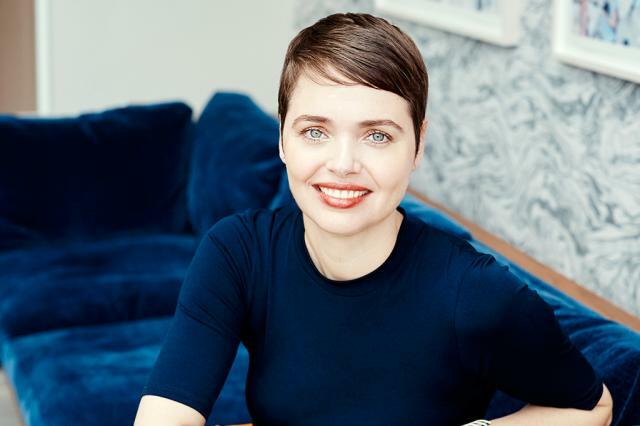 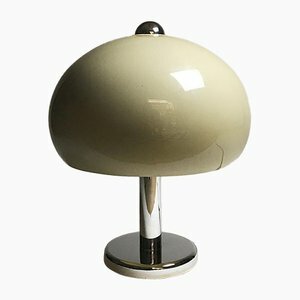 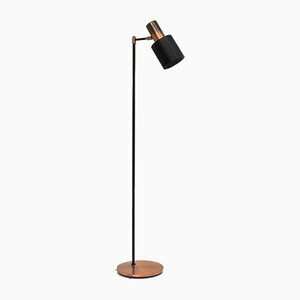 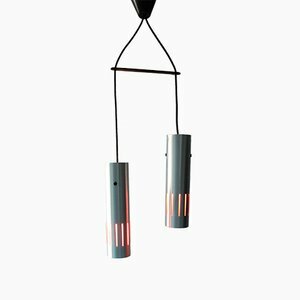 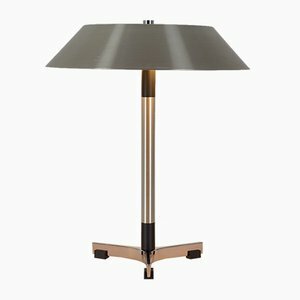 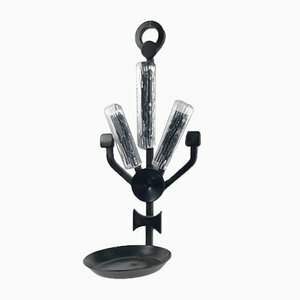 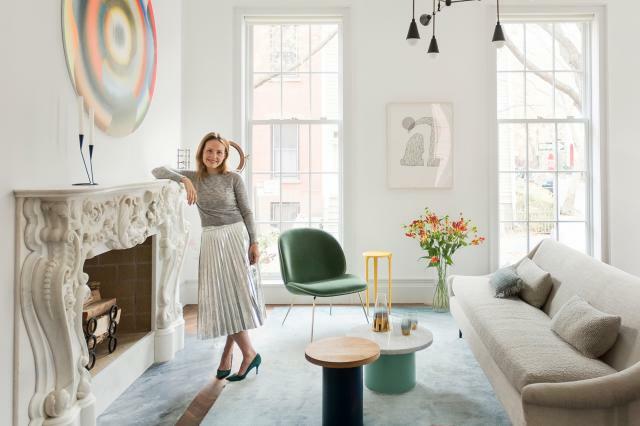 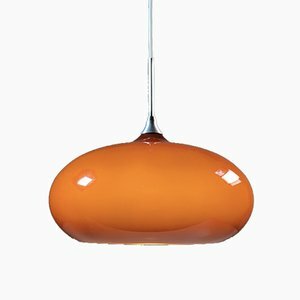 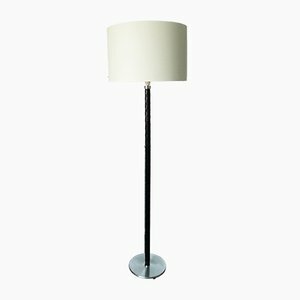 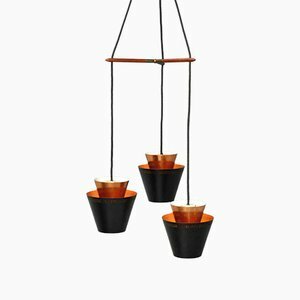 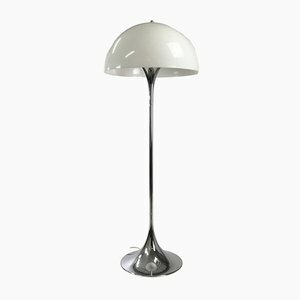 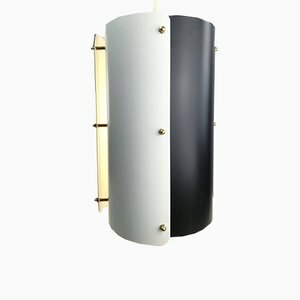 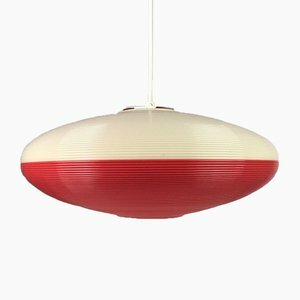 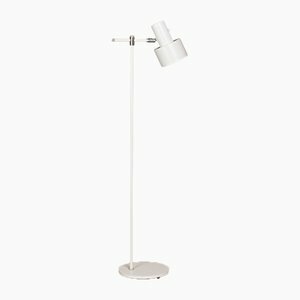 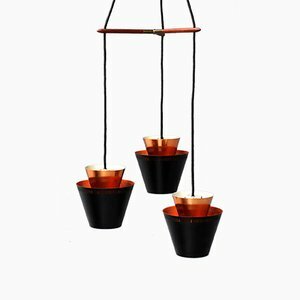 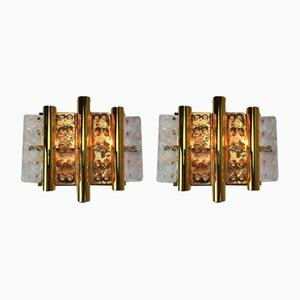 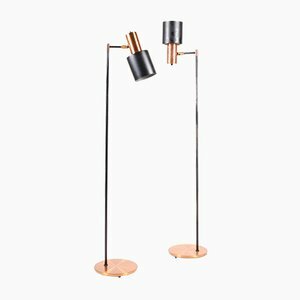 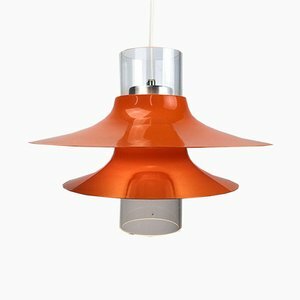 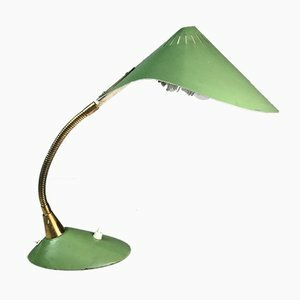 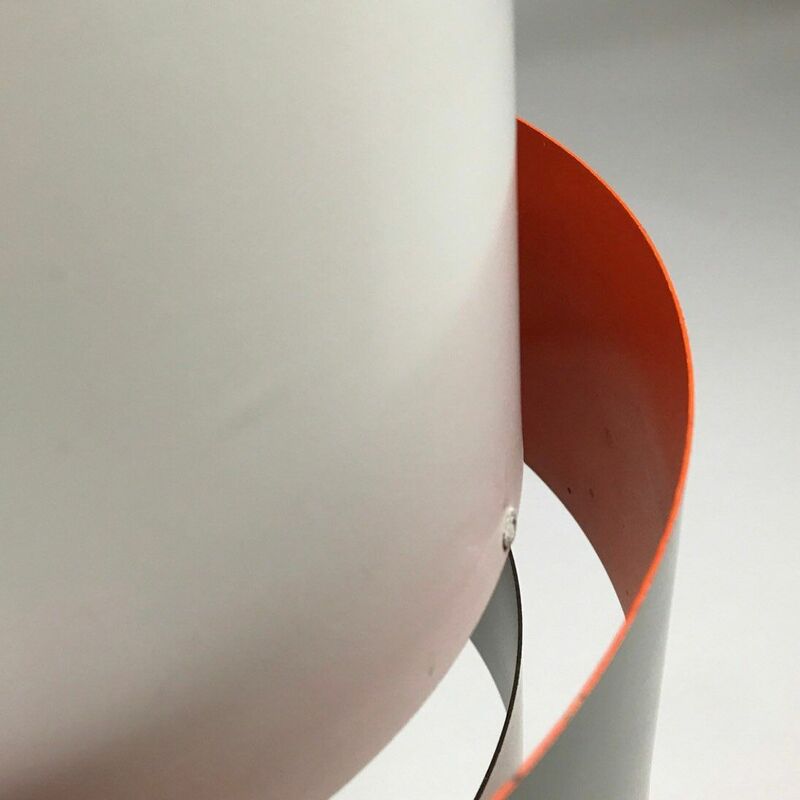 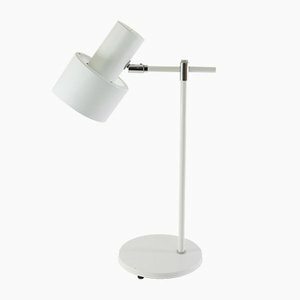 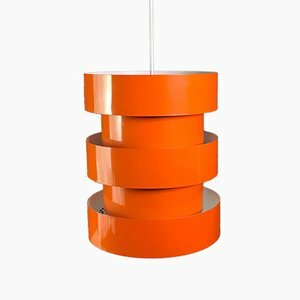 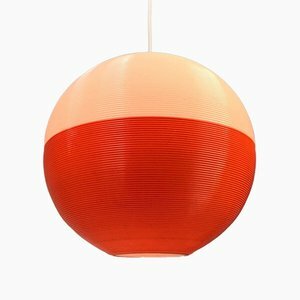 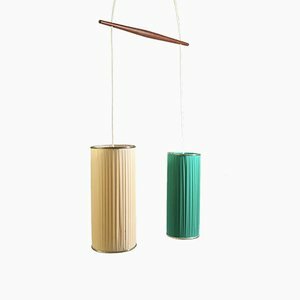 The light is called Central and is made of lacquered metal with orange and white on the inside and a two-toned gray on the outside. 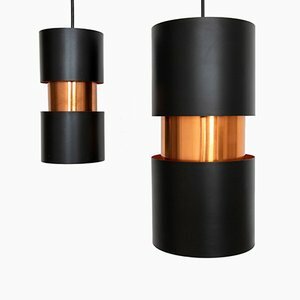 Fog & Mørup is known for its high-quality production and the Central is no exception. 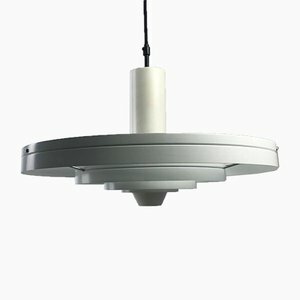 It comes with new white wiring, for satefy reasons, and takes an E27 / E26 Edison screw fitting, max 100W.